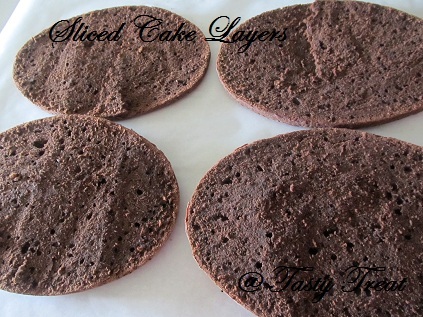 Congratulations on your 100th post and the layers looks amazing and gorgeous. 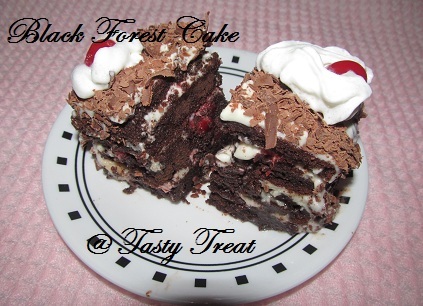 Perfect looking Black forest Cake. Congratz yaar...wishing you many more milestone...cake looks so delicious n loved your version...new looks was so pleasing n very nice...keep up the great work!!! wow!!! 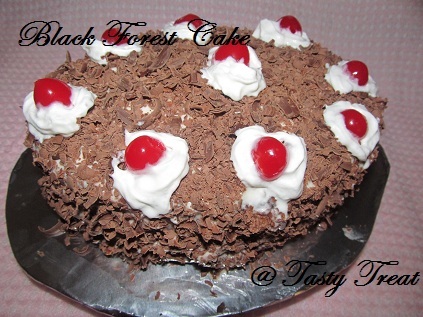 this cake is tempting me:)...it came out prefect!!!! congrats on your 100th post this is the yummy way to celebrate!!!! Congrats dear on ur 100th post !! This cake is perfectly done and beautiful !! 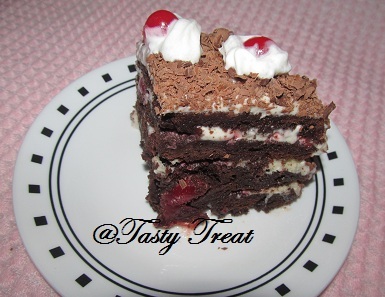 looks so delicious and very tempting !! Congrats on your 100th Post. 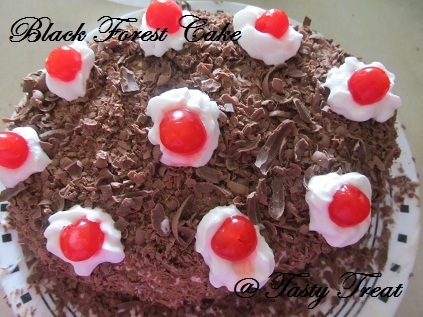 Your Black Forest cake looks awesome and very appropriate for such a memorable occasion. Congrats on your milestone dear..keep rocking! Perfect way to celebrate..perfect and delicious. Congrats on the 100th post!! Awesome looking cake dear!!! Congrats on 100th post..Keep rocking..the cake looks awesome..!! Congrats Julie! 100 posts, 5 posts a week is really hard work. Can't wait for your 200th post! 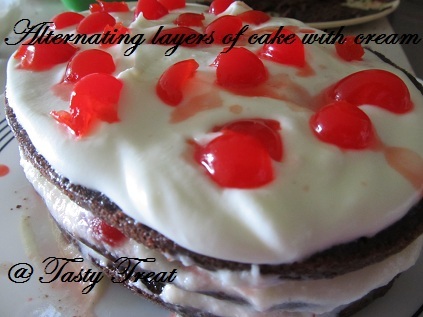 o my god- what a superb effort julie- kudos for that and ur 100th post too !the ake looks finger-licking good ! 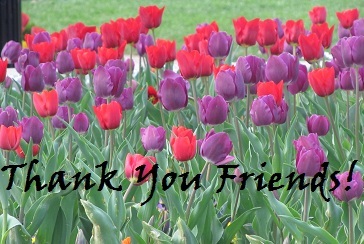 Thank you all for your encouraging and sweet comments..I hope to share many more recipes..Thanx again! Congrats on your 100th post dear...This cake is perfect for celebration...Looks superb..
Congratulations for ur 100th post.You have done it in a very short time.your blog is looking amazing with colorful layers.This yummy cake was an apt choice for ur 100th post. 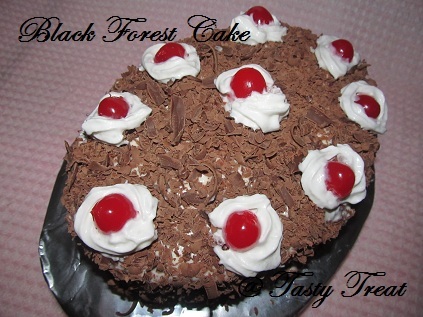 Congrats on ur 100th post.Cake looks superb & perfect.Liked ur new blog outlook. Thank you all again for all the support showered on my 100th post,and liking my cake too..
Congrats on your 100th post! Wow what a milestone in such a short time. Thank you all for your sweet comments and wishes..